1 Chile's President Michelle Bachelet talks to a Geminoid HI-2 robot, which is made in likeness of its creator, Japanese professor Hiroshi Ishiguro (not pictured), during the opening ceremony of the Congress of the Future event in Santiago. 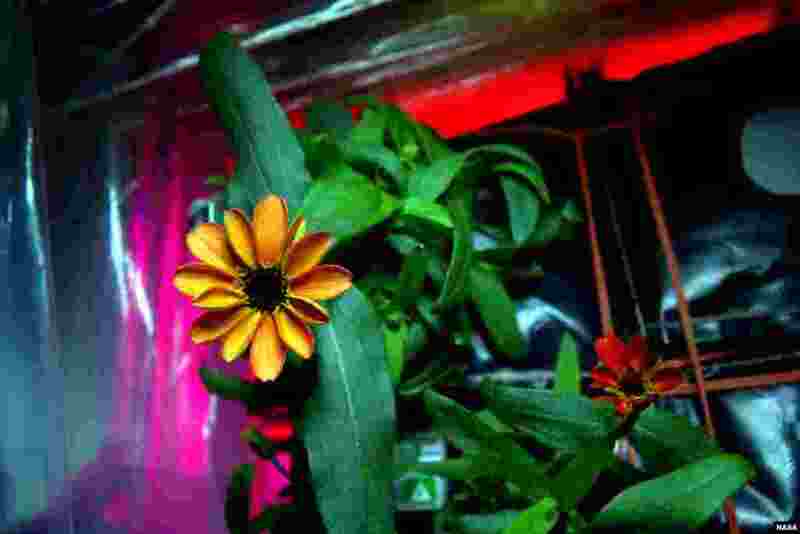 2 On Jan. 16, 2016, Expedition 46 Commander Scott Kelly shared photographs of a blooming zinnia in the Veggie plant growth system aboard the International Space Station. Kelly wrote, "Yes, there are other life forms in space! #SpaceFlower #YearInSpaceFlower. 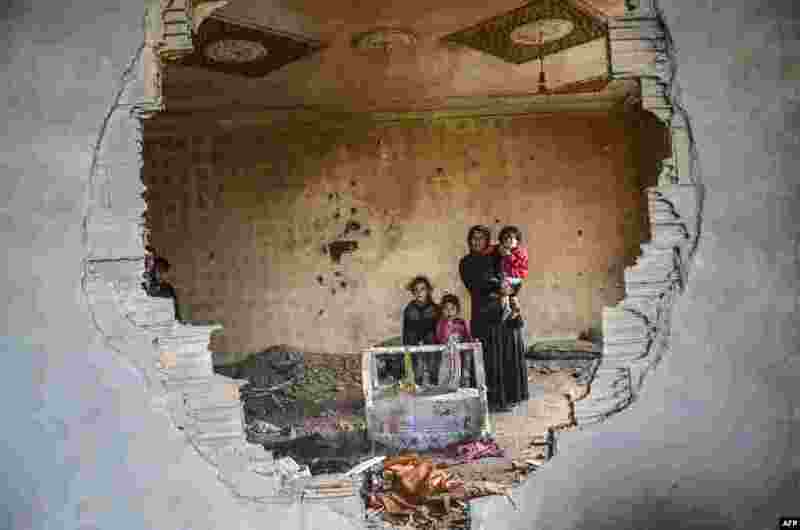 3 A women and her children stand in the ruins of a damaged house in the Kurdish town of Silopi, in southeastern Turkey, near the border with Iraq. Turkey is waging an all-out offensive against the separatist Kurdistan Workers' Party (PKK), with military operations backed by curfews aimed at flushing out rebels from several southeastern urban centers. 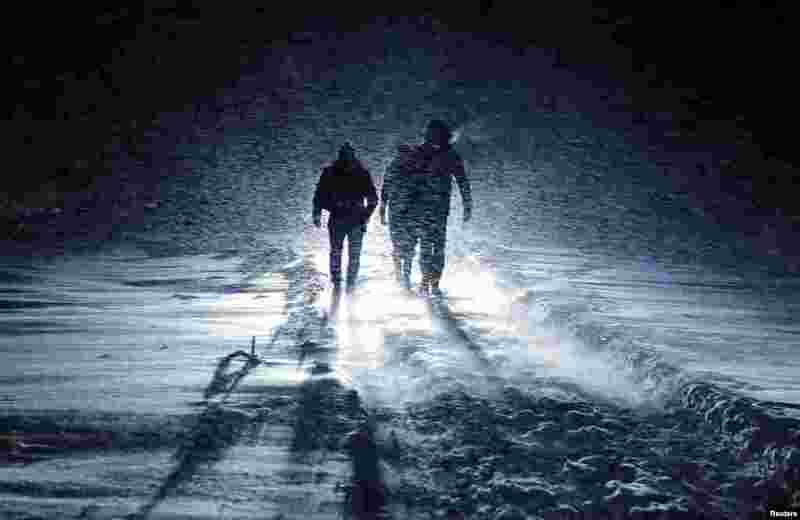 4 People walk through the snowstorm to immerse themselves in icy waters during celebrations for the Orthodox Epiphany on the ice-covered lake near the village of Dubrovichi outside Ryazan, Russia.